Swim Trunks by Burnside. 3.5 oz. 100% polyester. 100% polyester mesh lining. Dyed-to-match drawstring closure. Two pockets with flaps and tabs. Contrast overlaid stripes on side seams. And buy this Swim Trunks by Burnside Now $17.99. oSo MTB - Gear Bear T-Shirt - Mens. It's what's on the inside that counts, right? The Gear Bear design pulls together so many elements that represent fun! In order to make this a premium quality T-Shirt, we use a "tagless" 60/40 ring spun combed cotton / polyester T-shirt as our base. All of our printing is done using environmentally friendly, water-based inks, which provide an extremely soft hand after printing. These inks are embedded into fabric, so that they yield a soft look, as well as feel. The end result is the softest, smoothest, best-looking short sleeve tee shirt available anywhere! All this and printed right here in sunny Southern California! Color : Black / Green. And buy this oSo MTB - Gear Bear T-Shirt - Men's Now $19.98. Tie Dyed T-shirts. Pre-shrunk 100% cotton. Double-needle stitched neckline and sleeves. Shoulder-to-shoulder taping. And buy this Tie Dyed T-shirts Now $14.99. Football Jerseys for Men. Get the look of your favorite official jersey without the price. Our MEN'S STADIUM REPLICA JERSEY is 100% polyester tricot mesh with dazzle fabric yoke and sleeves. This mesh football jersey features a 1x1 rib-knit modified V-neck collar and an outside locker label on wearer's left side near the bottom hem. This sport jerseys features set-in, double-needle hemmed sleeves and a double-needle hemmed bottom. Comes ready for wearing-- but not meant to be worn with pads. 3.4 oz., 100% polyester tricot mesh 100% polyester dazzle fabric yoke and sleeves 1 x 1 rib-knit modified v-neck collar Front and back yoke Set-in sleeves Outside locker label on bottom left Double-needle stitched sleeves and bottom Not to be worn with pads. So buy this Football Jerseys for Men Now $24.99. Football Insulated Bottle Holder. Keep your bottle cold and your hands warm with this Insulated Bottle Holder designed for your favourite game.. Includes Black , Navy, Red, Royal 3mm Neoprene Wetsuit rubber Will hold a longneck bottle Neoprene construction Stretchable, washable and foldable. So buy this Football Insulated Bottle Holder Now $8.99. When you're heading out for a hike or hitting the gym, you want to make sure you're comfortable. While your regular tees are fine, they aren't built to handle getting super sweaty and can leave you feeling not so comfy during your workout. These long-sleeve performance tees are perfect for active wear, since they feature moisture management and odor control properties designed to keep you comfortable when you're working up a sweat. They're also stylish enough for casual wear, so you know you'll get a lot of use out of them! Whether you're rocking them on their own or as a base layer, you know you'll be comfortable all day long. Want to know more? � 1-year manufacturer's warranty � Includes 3 shirts � Material: 100% polyester--5.3oz � Moisture management and odor control properties � Seamless body with set-in sleeves � 1 x 1 rib collar � Double-needle cover-stitched front neck, sleeves, and bottom � Shoulder-to-shoulder taping � Available in sizes XS-3XL � Colors will be randomly selected from those shown--no duplicates. SO buy this 3-Pack: Solid Long-Sleeve Performance T-Shirt - Extended Sizes For $39.00. Getting a deal on one versatile item is great, but getting a deal on 4 is just fantastic! Grab your 4-pack of classic Hanes tees now before there's none left! With ribbed cuffs, shoulder-to-shoulder taping, and a double-needle stitched neckline, these are way nicer than any ordinary tees are. Plus, the tag-free label means no neck irritation--ever! You�ll be wearing these staple Hanes long-sleeve T-shirts through fall and winter. Want to know more? � Includes 4 shirts � Made of 100% cotton � Double-needle stitched neckline � Shoulder-to-shoulder taping � Ribbed cuffs � Tag-free label � Available in sizes S-3XL � Colors chosen at random from white, black, ash, gold, maroon, purple, brown, navy, green, and blue; duplicates possible. So buy this 4-Pack Hanes 100% Cotton Classic Tag-Free Long Sleeve T-Shirts Now $39.00. Adidas Performance Polo for Men! Adidas Performance Polo for Men. Feel great in these high-performance Adidas polos. Made of 100% polyester. These shirts combine performance and play at an entirely new level. - 4.3 oz., 100% polyester pique with hydrophilic finish - Three-button placket with rib-knit collar - Side vents - Contrast 3-Stripes piping detail on sleeves - Silver adidas heat seal logo on back neck - Set-in, open-hem sleeves - Moisture management piqu� wicks moisture away from skin for quick evaporation. Alternative Apparel Hoodie Sweater for Women! Alternative Apparel Hoodie Sweater for Women. If you think comfort is crucial, then add this Alternative Apparel Pullover Hoodie Sweater to your cart now. The lightweight sweater is great for cozying up at home or wearing with a cool pair of jeans. It�s also ideal for layering under heavier jackets in the cold winter weather. The kangaroo front pocket will keep your fingers warm, while the ribbed cuffs and hemline trap heat in. It�s the perfect hoodie! Want to know more? Made of 50% polyester, 38% cotton, 12% rayon 6.25% of cotton is organic and 6.25% of polyester is recycled. Low-impact yarn dyed and washed. Kangaroo pocket at front. Long sleeves. Lightweight. Drawstring attached at hood. Contrast rib trim at cuffs and straight hemline. Machine wash cold; tumble dry low. Available in sizes S-XL. Available in your choice of Eco Black, Eco Green, Eco Gray, Camo, or Eco Stone. Get Calvin Klein Stretch Shirts - Men! Get Calvin Klein Stretch Shirts - Men. These comfortable Men's shirts are perfectly balanced to give you Classy, Dressy and Casual without compromise. Calvin Klein Stretch Cotton Shirts available in colors from Ash, White, Black, and Blue. Sizes range from Small - 3XL. 97/3 cotton / spandex with two-button adjustable sleeve cuffs and button-through sleeve placket. A Soft point collar, and French turn back center-front placket. No pocket and no back pleat. 3.3 oz. Extreme Pak� Digital Camo Pet Carrier: Features zippered entry panels on each end; and top with zippered mesh window; side ventilation grommets; removable bed liner; inside leash holder; carrying straps; detachable/adjustable shoulder strap; and front exterior pocket. Measures 15" x 12" x 10". Zippered Entry Panels Zippered Top with Mesh Window Side Ventilation Grommets Removable Bed Liner Inside Leash Holder Carrying Straps Detachable/Adjustable Shoulder Strap Front Exterior Pocket Measures 15" x 12" x 10". SO buy this Camo Pet Carrier Now $45.95. Bahamas Frozen Concoction Maker for creating fun, tropics-inspired party drinks. So buy this Bahamas Frozen Concoction Makers Now $199.99. Key Specs Smart Capable: Yes Display Type: LED Refresh Rate: 120Hz Number Of HDMI Inputs: 5 Number Of USB Port(s): 1 Screen Size: 49.5 inches Digital Tuner: Yes Warranty Parts: 1 year limited Labor: 1 year limited Compatibility Wall Mountable: Yes VESA Wall Mount Standard: 200mm x 200mm Media Card Slot: No Video Maximum Resolution: 3840 x 2160 (4K) 3D Technology: No Curved Screen: No Maximum Contrast Ratio (Dynamic): 5000000 Local Dimming: Yes Additional Dimension Product Height With Stand: 28.27 inches Product Depth With Stand: 10.04 inches Product Height Without Stand: 25.91 inches Product Depth Without Stand: 2.52 inches Product Weight With Stand: 30.86 pounds Product Weight Without Stand: 30.03 pounds Input Number Of Component Video Inputs; 1 Number Of Composite Video Inputs; 1 PC Input: No Video Input(s): HDMI, Component video, Composite video Power ENERGY STAR Certified ; Yes EPEAT Qualified: No Estimated Annual Operating Cost; 17 United States dollars Estimated Annual Electricity Use; 138 kilowatt hours Output Number Of Analog Audio Outputs: 1 Number Of Digital Optical Audio Outputs: 1 Speaker Output: 10 watts. So buy this VIZIO 50" Class (49.5" Diag.) LED 2160p Smart 4K Ultra HDTV - Black Now $560.00. Sterling Silver Zirconia Open Heart Key Pendant Necklace. So buy this Sterling Silver Zirconia Open Heart Key Pendant Necklace Now $50.00. Soft Durable Roll Up Travel Pet Bed with Carry Handle: Soft Durable Roll Up Travel Pet Bed with Carry Handle Provide your pet with comfort anywhere they go with this comfortable, padded Roll-Up Home and Travel Pet Bed featuring a soft faux fur interior and a sturdy nylon striped exterior lining. The bed conveniently rolls up and secures with Velcro fasteners. It is easy to transport with a handle on top. Machine washable. Measures approximately 24" x 36". Comes packaged with a wrap around tag. Pet Furniture Color: Black, Brown, Blue, Beige Material: Polyester, Nylon. And buy this Roll Up Travel Pet Bed Now $55.99. Oscar De La Renta Something Blue. by Oscar de la Renta EAU DE PARFUM SPRAY 3.4 OZ: Launched by the design house of Oscar de la Renta in 2013, OSCAR DE LA RENTA SOMETHING BLUE by Oscar de la Renta for Women posesses a blend of: mandarin orange, musk, bergamot, vanilla, stephanotis It is recommended for wear. So buy this Oscar De La Renta Something Blue Now $65.00. Launched by the design house of Oscar de la Renta in 2011, ESPRIT D'OSCAR by Oscar de la Renta for Women posesses a blend of: jasmine, violet, and iris It is recommended for casual wear. And buy this Esprit D'oscar By Oscar De La Renta Edt Spray 6.8 Oz Now $74.00. Launched by the design house of Calvin Klein in 1989, ETERNITY by Calvin Klein for Men possesses a blend of: greens, crisp jasmine, sage, basil, and rosewood, very refreshing and crisp. It is recommended for daytime wear. So buy this Eternity For Men By Calvin Klein Edt Spray 3.4 Oz Now $54.00. Launched by the design house of Van Cleef & Arpels in 1989, TSAR by Van Cleef & Arpels for Men posesses a blend of: citrus, spice and fragrant woods and mosses, a manly and warm aroma. It is recommended for casual wear. Item Attributes. And buy this Tsarfor Men By Van Cleef & Arpels Edt Spray 3.3 Oz Now $55.00. Launched by the design house of Giorgio Beverly Hills in 1982, GIORGIO by Giorgio Beverly Hills for Women posesses a blend of: floral bergamot, mandarin, jasmine, rose, carnation, orris, sandalwood, cedarwood, musk, moss and amber. It is recommended for casual wear. And buy this Giorgio By Giorgio Beverly Hills Edt Spray 3 Oz Now $52.00. Launched by the design house of Paul Sebastian in 1979, PAUL SEBASTIAN by Paul Sebastian for Men posesses a blend of: aromatic spices, hints of sweet florals, citrus plus the richness of soft woods and musk. It is recommended for evening wear. Buy this PAUL SEBASTIAN for Men by Paul Sebastian COLOGNE 8 OZ Now $56.00. These great looking and great fitting t-shirts are designed for practicality and style! 100% Cotton, chest pocket Assorted Colors, Sizes S-4XL! Garment dyed and washed soft T-shirts. Take advantage of the lowest price across the internet for Colored Pocket tees!! Grab it while the stock lasts. Assorted Colors randomly packaged, duplicates are possible. Brand Label might be cut. And get this 6-Pack Men's Pocket T-Shirts Now $38.00. Launched by the design house of Van Cleef & Arpels in 1978, VAN CLEEF by Van Cleef & Arpels for Men possesses a blend of : Basil, Thyme, Marjoram, Patchouli, Temisia, Cedar, Vetiver, Moss, Labdanum, Castoreum, Juniperberry, Leather It is recommended for romantic wear. And buy this Van Cleef For Men By Van Cleef & Arpels Edt Spray 3.3 Oz Now $60.00. Junior Womens Burnout T-shirt - Made in USA. 50/50 cotton/polyester 100% cotton white side panels and neckline Double-needle stitched sleeves and bottom hem Made in the USA. So buy this Junior Womens Burnout T-shirt - Made in USA Now $14.99. Knit Beanie. 100% acrylic knit 8� in length. So buy this Knit Beanie Now $9.99. Denim, 100% Cotton Two-piece, lined, banded, button-down collar Left chest pocket with pencil stall and button closure Double-needle topstitching Single button sleeve placket Double layer back yoke. And buy this Denim Shirt by Wrangler Now $31.99. Self Heating Pet Pad with Non-Slip Base Case Pack 2: Self Heating Pet Pad with Non Slip Base Get this high quality Self Heating Pet Pad with Non Slip Base for your favorite pets. Machine washable cover Self heating property makes it comfortable to be used even in winters Dimensions: 18"" x 25"". And buy this Self Heating Pet Pad 2 Pack Now $60.00. Men's New Balance Singlet for Running. 100% polyester birdseye piqu� knit flatback mesh wicking and anti-microbial properties heat transfer label and sideseam care label reflective piping inset into front sideseam 1" rolled forward shoulders; self-fabric ?" hem New Balance� logo on wearers left strap (Flying NB) racerback pattern; athletic fit with inset side panels. So buy this Men's New Balance Singlet for Running Now $19.99. Denver Broncos Steel Ring. This unique ring is made of 316L stainless steel and features a fully cast and enameled Denver Broncos logo. In addition to the attractive look of this ring it also includes a functional bottle opener feature.Stainless steel ring Comes in ring box Great gift for a sports fan Denver Broncos ring with enameled color. So buy this Denver Broncos Steel Ring Now $23.99. Women's Football Jersey. Get the look of your favorite official jersey without the price. Our WOMEN'S STADIUM REPLICA JERSEY is 100% polyester tricot mesh with dazzle fabric yoke and sleeves. This mesh football jersey features a 1x1 rib-knit modified V-neck collar and an outside locker label on wearer's left side near the bottom hem. This sport jerseys features set-in, double-needle hemmed sleeves and a double-needle hemmed bottom. Comes ready for wearing-- but not meant to be worn with pads. 3.4 oz., 100% polyester tricot mesh 100% polyester dazzle fabric yoke and sleeves 1 x 1 rib-knit modified v-neck collar Front and back yoke Set-in sleeves Outside locker label on bottom left Double-needle stitched sleeves and bottom. So buy this Women's Football Jersey Now $24.99. Agent Provocateur By Agent Provocateur Eau De Parfum Spray 6.7 Oz. Launched by the design house of Agent Provocateur in 2000, AGENT PROVOCATEUR by Agent Provocateur for Women posesses a blend of: Amber, Coriander, Ylang Ylang, Jasmin, Magnolia, White Gardenia, Vetiver, Musk, Saffron, Moroccan Rose It is recommended for evening wear. So buy this Agent Provocateur By Agent Provocateur Eau De Parfum Spray 6.7 Oz Now $70.00. Amethyst Lalique By Lalique Eau De Parfum Spray 3.4 Oz. Launched by the design house of Lalique in 2007, AMETHYST LALIQUE by Lalique for Women posesses a blend of: vanilla, blackcurrant, floral bouquet, musk, blackberry It is recommended for casual wear. So buy this Amethyst Lalique By Lalique Eau De Parfum Spray 3.4 Oz Now $60.00. Launched by the design house of Bvlgari in 2008, BVLGARI JASMIN NOIR by Bvlgari for Women posesses a blend of: Gardenia, Green sap, Satin almond notes, Licorice, Tonka bean absolute, Precious woods, Sambac jasmine absolute It is recommended for casual wear. and buy this BVLGARI JASMIN NOIR by Bvlgari EDT SPRAY 3.4 OZ Now $68.00. Casmir By Chopard Eau De Parfum Spray 3.4 Oz. Launched by the design house of Chopard in 1991, CASMIR by Chopard for Women posesses a blend of: woodsy sandalwood and patchouli, with lower notes of fresh citrus, melons and peaches. It is recommended for casual wear. And buy this Casmir By Chopard Eau De Parfum Spray 3.4 Oz Now $60.00. Jaipur Bracelet By Boucheron Eau De Parfum Spray 3.4 Oz. Launched by the design house of Boucheron in 2012, JAIPUR BRACELET by Boucheron for Women posesses a blend of: Citrus, Spices, Herbs, Wood, Lemon Verbena, Basil, Petitgrain, Carnation, Iris And Lily Of The Valley. It is recommended for casual wear. So buy this Jaipur Bracelet By Boucheron Eau De Parfum Spray 3.4 Oz Was $136.00 Now $60.00. F For Fascinating Night By Salvatore Ferragamo Eau De Parfum Spray 3 Oz. Launched by the design house of Salvatore Ferragamo in 2009, F FOR FASCINATING NIGHT by Salvatore Ferragamo for Women posesses a blend of: jasmine and rose mixed with mandarin sorbet, pink pepper, patchouli, and white musk It is recommended for evening wear. So buy this F For Fascinating Night By Salvatore Ferragamo Eau De Parfum Spray 3 Oz Was $105.00 Now $55.00. Diva By Ungaro Eau De Parfum Spray 3.3 Oz *Tester. Launched by the design house of Ungaro in 1983, DIVA by Ungaro for Women posesses a blend of: forest notes of oakmoss, sandalwood and patchouli, with a hearty middle blend of rose, narcissus, jasmine and iris, with traces It is recommended for romantic wear. And buy this Diva By Ungaro Eau De Parfum Spray 3.3 Oz *Tester Was $98.00 Now $58.00. Halston Woman Amber By Halston Eau De Parfum Spray 3.4 Oz. Launched by the design house of Halston in 2010, HALSTON WOMAN AMBER by Halston for Women posesses a blend of: mandarin orange, red currant, tuberose, amber, rose It is recommended for wear. and buy this Halston Woman Amber By Halston Eau De Parfum Spray 3.4 Oz Was $120.00 Now $60.00. Heart CZ and Onyx Dangle Earrings. Beautiful Sterling Silver .925 Heart Cubic Zirconia CZ Onyx Dangle Earrings Ladies Jewelry. So buy this Heart CZ and Onyx Dangle Earrings Was $78.32 Now $48.00. Heart Pendant Necklace. Leaf and Branch Style Brass Cubic Zirconia Heart Pendant Necklace 16" - 18" Adjustable. So buy this Heart Pendant Necklace Was $94.60 Now $64.00. Stainless Steel Heart. Modern stainless steel heart with carbon fiber pendant (Chain Not Included). So buy this Stainless Steel Heart Was $49.98 Now $30.00. Heart Multicolor Hoop Earrings. Stunning earrings are .925 Sterling Silver Gold Rhodium Plated Round Heart Multicolor Cubic Zirconia Hoop Earring SOD. So buy this Heart Multicolor Hoop Earrings Was $200.00 Now $90.00. Heart Key Pendant Necklace. Sterling Silver Cubic Zirconia Open Heart Key Pendant Necklace 18 Inches. So buy this Heart Key Pendant Necklace Was $130.94 Now $75.00. Women's Stainless Steel 316 Bangle Bracelet. And buy this Cuff Bracelet Was $69.00 Now $49.00. Cuff Bracelet. Women's Stainless Steel 316 Bangle Cross Bangle Bracelet. And buy this Cuff Bracelet Now $68.00. Onyx Heart Necklace and Earring Set. Stunning Onyx Cubic Zirconia CZ .925 Sterling Silver Heart Necklace Pendant Earrings Jewelry Set 567-bgs00219. So buy this Onyx Heart Necklace and Earring Set Now $245.00. Open Heart Necklace. Beautiful Sterling Silver Cubic Zirconia Open Heart Flower Pendant Necklace. So buy this Open Heart Necklace Now $70.50. Heart Dangle Earrings. Beautiful Sterling Silver Cubic Zirconia Heart Dangle Earrings. So buy this Heart Dangle Earrings Now $39.00. Gold heart Cubic Zirconium Sterling Ring. Beautiful 925 Sterling Silver Ladies Jewelry Rose Gold Plated Center Heart Cubic Zirconia Stone Ring Width: 7.3mm. Gold heart Cubic Zirconium Sterling Ring Now $47.00. Made with 75% Ultra-wicking Micro Denier Acrylic, 15% Nylon, and 10% Spandex for exceptional comfort and strength. Our socks feature the "Stretch-to-Fit" sizing system and exclusive "Easy-fit" cuff for a PERFECT FIT every time on any foot. These features create superior softness and comfort and help eliminate blisters and hot spots. We also feature a double stitched heel & toe for added strength and durability. 6" Crew Cuff ,One Size Fits Most (Mens 7-11). And buy this TASCO Mountain Bike Socks Now $13.98. Tasco Inversion Socks - The Blues. Made with 75% Ultra-wicking Micro Denier Acrylic, 15% Nylon, and 10% Spandex for exceptional comfort and strength. Our socks feature the "Stretch-to-Fit" sizing system and exclusive "Easy-fit" cuff for a PERFECT FIT every time on any foot. These features create superior softness and comfort and help eliminate blisters and hot spots. We also feature a double stitched heel & toe for added strength and durability. 6" Crew Cuff Size Small (petite ladies / groms) & One Size Fits most. And buy this Tasco Inversion Socks - The Blues Now $13.98. 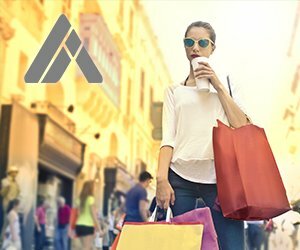 The AiMarket app is a mobile ecommerce marketplace that allows shoppers to access great deals & certificates via a real-time Ai CrowdBuy Model. The AiMarket App allows shoppers to search, view, & buy deals from local & online businesses in seconds.